The Power Of Positive Affirmations! Using the power of positive affirmations on a daily basis is an excellent way to help you to achieve the life of your dreams. Making positive statements is amazingly powerful! Using these each and every day, is a powerful way to improve the way you feel, and the more often the better.. Combining the use of daily affirmations with both the power of intention and an attitude of gratitude is highly effective to aid you to manifest the life of your dreams. By being truly grateful in advance you will make the process move in the right direction. 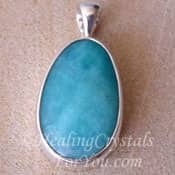 By combining specific healing crystals with the use of the power of positive affirmations, you may have an even greater beneficial outcome. 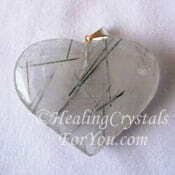 All quartz crystals have an amplifying effect and are all very programmable with affirmations. The daily use of the power of positive affirmations is about making positive statements on a daily basis, and using the energy of your intentions to charge the affirmations. By daily affirming your desires, you will begin to reprogram your brain and create a positive way of thinking. From the time most of you were children you have been allowing life circumstances to create the way that you think and feel. It is like a circle. When you experience negative feelings every day after a while your normal way of thinking becomes negative. 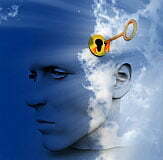 Negative feelings are most often caused by the way you think, by thinking negative thoughts. Of course not all of your thoughts are negative, but negative thoughts are often stronger and may have so much more energy than pleasant positive thoughts. Often although you may want to think differently and even attempt to do so, it is hard to change without some help. Negative feelings are a major cause of stress, and the more you give your attention to negative things the harder it is to become positive. If you apply the power of positive affirmations combined with the power of confident intentions, this will help you to have a greater chance of succeeding at reversing your long-standing way of thinking. 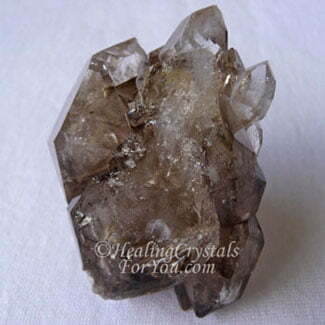 Herkimer Diamond is a high vibration quartz that can be programmed with affirmations. Your plan of action needs to be to use the power of your intentions combined with the use of daily affirmations to change your life. If you affirm that the thing that you desire already exists, that it is already real, you will make the process move more quickly. The other necessary part is to add in the vibration of gratitude. Being grateful for what you already have is extremely powerful spiritually to move your life to a new level. The use of the seven laws of attraction in combination with affirmations is very effective. In the movie the Secret, the man sat in his chair and imagined that he was sitting in his brand new car. He immersed himself so strongly in this imaginary vision that he began to truly believe in the car and that he was actually sitting in it. It is necessary to keep these positive affirmations in your mind on a daily basis. The use of daily affirmations aids you to reverse the long standing negative thoughts that run through your mind throughout the day in the background. A powerful way to aid this process is an amazing program called Mindmaster. The concept is simple and all you need to do is to install the program on your computer. Any time you are using your computer it flashes positive affirmations on the screen. It is important that when you are saying your affirmations that you believe that the words that you are saying are true. The second of the seven laws of attraction is using your imagination. Once you allow your imagination to break free you can combine it with the power of positive affirmations, and put it to work for you to aid the process. The concept of affirmations is to make a positive statement of what you would like to be, or do or have in your life. Once you allow yourself to truly believe that what you are saying already exists you have succeeded. If you allow yourself to completely believe that you will have what you desire, then it will come into being. You finish the situation with confident expectation that what you have affirmed is already on its way. Once you can truly believe that the thing you desire is already manifested, and is already a part of your reality all you need do is wait for it to arrive. There is a buffer of time between your asking... that is saying the affirmation, and the delivery. In the Abraham Hicks books on the Law of Attraction, they call this "having what you desire in vibrational escrow", which is a good way of describing it. This refers to the idea that it is already formed and in the etheric and is already moving towards you. Keep your thoughts positive and it will arrive. As soon as you allow doubt to creep in you cause a reversal of the direction of the energy. 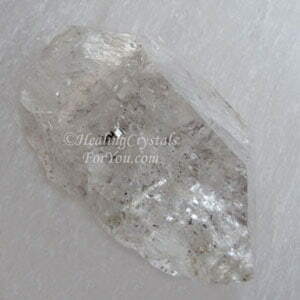 They are many healing crystals for you to use to help you, and there are some specific quartz crystals that are extraordinarily useful for this purpose. 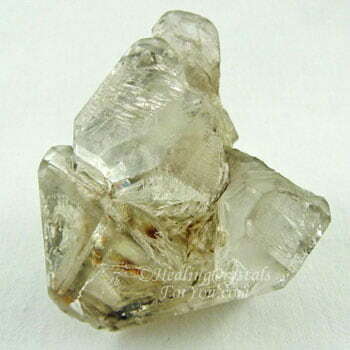 Stones to use includes Rose Quartz, Golden Rutilated Quartz, and the high vibration crystals Elestial Quartz or Herkimer Diamonds which may be programmed with a positive affirmation. 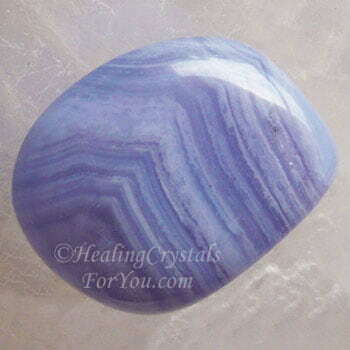 Its easy to learn how to program your crystals, and you can use them in your daily meditation. 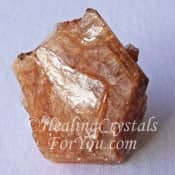 Golden Rutilated Quartz Crystals are very helpful as they embody within them tiny threads of rutile which act like conductors for your thoughts and intentions. These stones are excellent amplifiers of your thoughts, and may help you to make contact with the Divine mind and receive Divine inspiration about your future actions. Use these stones in your crystal meditation and through the power of intention you may begin to manifest what you desire in your life. 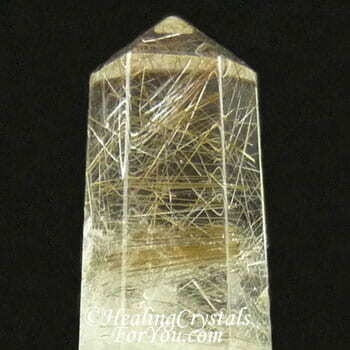 Tourmilated Quartz is very useful if you know you have been thinking very negatively. Because this stone has strands of Black Tourmaline within it, this acts to transmute or change any negative emotions into positive feelings. 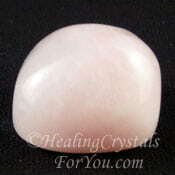 Rose Quartz brings the energy of love into the situation. 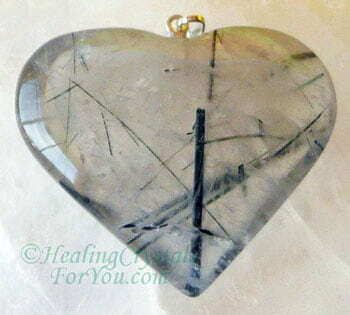 It is a powerful stone to aid emotional healing, and will aid you when the affirmations relate to your relationships or to the people you love. Using stones other than quartz may also aid you, and you may use these by holding them in your hand while saying affirmations. 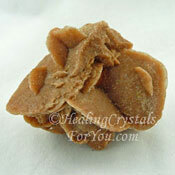 Using Desert Rose Selenite may strengthen the power of positive affirmations. 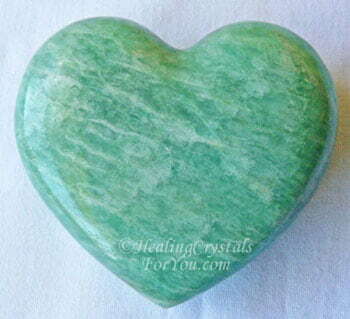 Holding a piece of Amazonite stone or Stellerite crystal brings the energy of truth to the affirmation and may aid its manifestation. 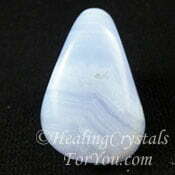 This may be used with Blue Lace Agate which helps to amplify the power of positive affirmations. Making positive statements is so powerful, and the more frequently the better. Once you begin to use the power of positive affirmations on a daily basis, you will find that your life begins to change. There is a buffer of time between the asking and the receiving. Using affirmations each and every day is an excellent way to help you to achieve the life of your dreams. Saying positive uplifting words is an excellent method to improve the way you are feeling. It is also one of the easiest methods to relieve your stress. Combining the use of daily affirmations with both the power of intention and an attitude of gratitude is highly effective. By being sincerely grateful in advance you will help the process to move your life in the direction of your dreams.